Nine months after historic referendum on EU membership, Britain finally on the verge of implementing 'Brexit'. After nine and a half months, Britain appears poised to finally implement the results of last year’s historic referendum on membership in the European Union, the so-called “Brexit” vote. On Monday night, the British Parliament voted to empower Prime Minister Theresa May to invoke Article 50 of the EU Treaty, ending the UK’s affiliation with the union. While backers of the Brexit, including former UK Independence Party (UKIP) chief Nigel Farage, had hoped for a speedy departure from the EU, implementation of the Brexit was stymied for months by legal challenges and political hand-wringing over the nature of the UK’s departure from the EU. With the parliament’s vote on Monday, however, the final barrier to a clean break from the EU has been removed. Following the vote, Prime Minister Theresa May reiterated her intention to invoke the EU’s Article 50 at the end of March - a move that has been dubbed 'B-Day' inside the Prime Minister's office - setting her country on an irreversible course which will culminate in the termination of Britain’s membership in the multinational body. Once Article 50 has been invoked, the EU and UK will begin formal negotiations for the terms of Britain’s departure. The future status of Britons in the EU and EU citizens in Britain will be addressed, as will the terms of trade between EU member states and the UK. According to the EU charter, negotiations must be concluded within 24 months of the invocation of Article 50. If no agreement has been reached, the UK will be automatically removed from the EU, with trade and residency rights returned to status quo ante. Any deal between the EU and UK would also require approval by their respective parliaments, a process that could take months – and must be completed by the two-year deadline. While a unanimous vote by EU members could extend negotiations, Germany has already indicated it will not back such an extension. 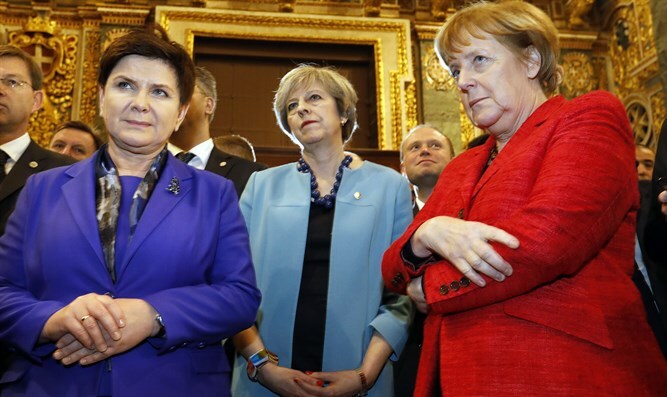 Following the UK’s letter later this month notifying the EU of its intention to leave, the 27 remaining EU member states will hold a summit to decide the union’s terms for the negotiations with Britain. European Council President Donald Tusk has indicated this summit will most likely take place in April.